Located up in the “Bold Coast’ region of downeast Maine, the Little River is the last harbor of refuge in the United States before sailing northward into Canadian waters. 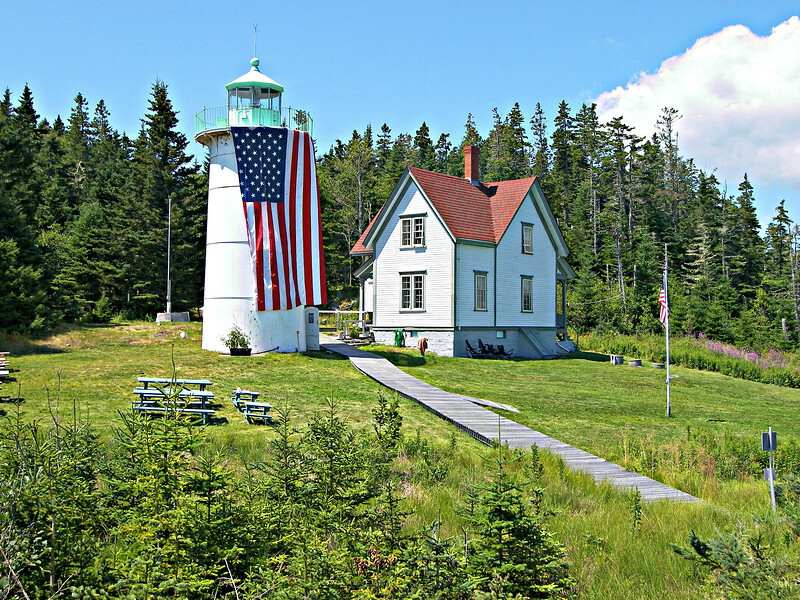 A Light House Service inspection report prepared in 1842 recommended a light station to be built on the 16 acre Little River Island at the entrance to Cutler Harbor. The purpose of the light was to identify the safe anchorage at Cutler from nearby false harbors. Congress appropriated $5,000 in March 1847 for the erection of the Little River Lighthouse. By early 1848 a 23 foot conical granite tower was completed with an attached 1½ story Keeper’s dwelling.